We have been enjoying cooler temperatures and lower humidity here for the last few days. This didn’t happen a minute too soon! I am ready for fall! As luck would have it, our landlords delivered a box full of apples from their orchard this weekend. Of course, I used some for this super easy apple pie filling, but I wanted to do something a little more creative than apple sauce with the remainder. I ended up using several apples to make apple cider. Who would have thought homemade apple cider was so easy . . . and delicious?! I’m especially impressed at the small amount of added sugar –in the form of a couple tablespoons of maple syrup. 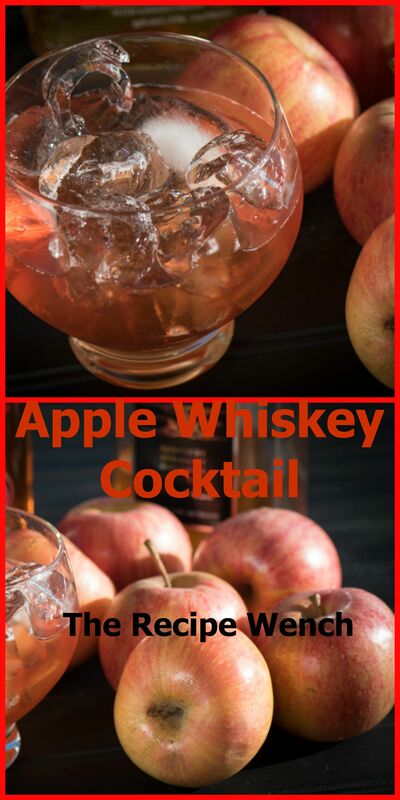 I plan to discover a few fall-inspired cocktails using apple cider as a mixer. I’m look forward to sharing those with you! And speaking of cocktails . . . I used a couple of those apples to infuse whiskey for this Apple Whiskey Cocktail. I’m loving it and hope you do too!